When Good Morning America decided to put together a full-origination broadcast from UNC campus in Chapel Hill, NC, they knew who to call for ENG crews – GTT. As part of ABC News “50 States in 50 Days” Whistlestop Tour, Weekend GMA brought down its anchors Bill Wier, Kate Snow, Ron Claiborne, and Marysol Castro to host the show for a “Back to School” special. The show focused on how college students across the country are relating to this Presidential Campaign, as well as how students present and future will be affected by the current economic situations at hand. Go To Team camera/ EFP crews Jimmy Hall and Tom Wells worked with the staff to help set up and shoot the live broadcast that included 2 handheld cameras and a jib, lighting crews, engineering staff, production staff, multiple satellite and production trucks, as well as 1000+ students. 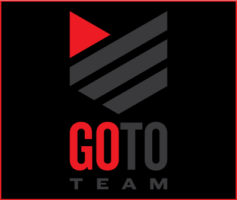 Go To Team’s audio staff were responsible for handling 8 wireless mic systems, 4 independent wireless IFB systems, wireless PL packages, nat sound mics and several other components required for the broadcast. GTT crew Skip Clark and Rene Cusson worked earlier in the week shooting a package from High Point University that aired during the show as well (click here for the package).